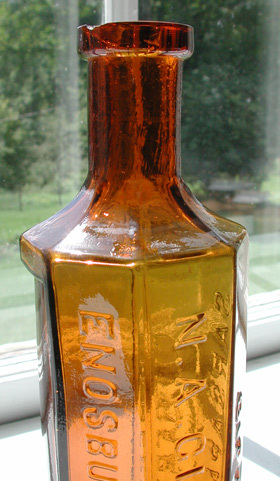 Description: Rare Vermont Bitters and Sarsaparilla from the N.A. Gilbert Co. in condition (Ring G42). 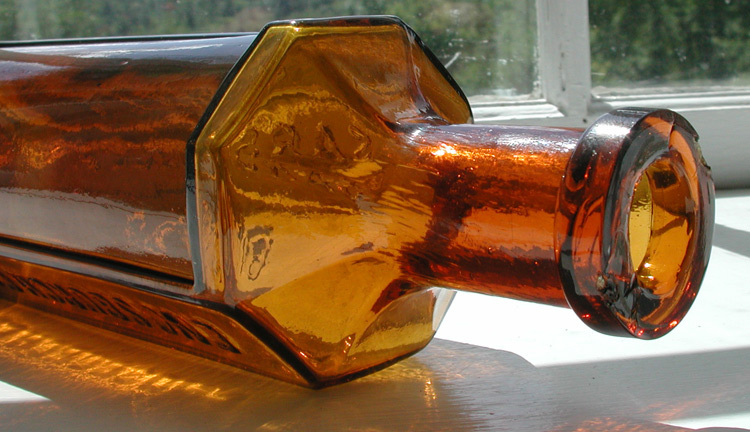 Octagonal with indented label panel, smooth base, applied square collar, circa 1875. A hard to find bitters, sarsaparilla and Vermont medicine. Condition: Strong embossing, good color. Overall very good, there are two small chips on the top of lip.